*Pre-registration is required for child to receive a toy at the event. Toys are for children under 12. Call 206-684-4788 for details. 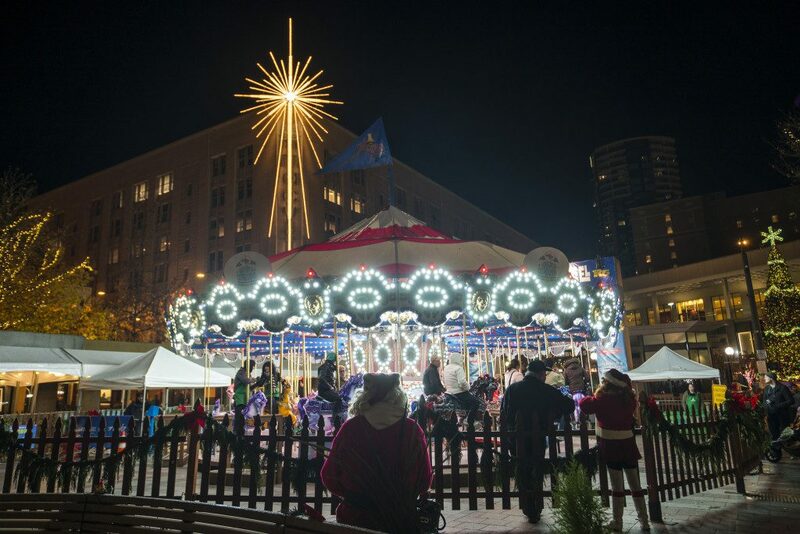 Join us from 4:30-6 p.m. on Friday, Dec. 4, for the fourth annual “Twinkle, Twinkle Freeway Park Winter Warmup” event! The Jim Ellis Freeway Park Association in partnership with Seattle Parks and Recreation and Exeter House will be leading s’more making, holiday crafts and singing with the Dickens Carolers. Participants can warm up with free hot chocolate by a bonfire. This year the Dickens Carolers will lead a parade to Westlake Park beginning at 6 p.m. to join the Great Figgy Pudding Caroling Competition downtown. Join thousands of people for “Pathway of Lights” around Green Lake from 4:30 – 7:30 p.m. on Dec. 12. Experience the warm glow of luminaries and sounds of the season performed by schools and local artists. This year, Seattle Parks and Recreation is hosting special bonfire events in many of its waterfront parks. For a complete Christmas Ships schedule, go here.